Tasty? YES! This thing rocks! It easily paired with my Windows Phone and I have used it to listen to music while tracking my runs via Runtastic. It works perfectly almost every time and has survived the summer heat and humidity. I have taken a few phone calls and no one has every complained about the sound quality of the Microphone. The best thing is I was able to plug in my five year old Shure Earbuds and use them via Bluetooth. I have also swapped in a standard pair of Yurbuds with no problem. 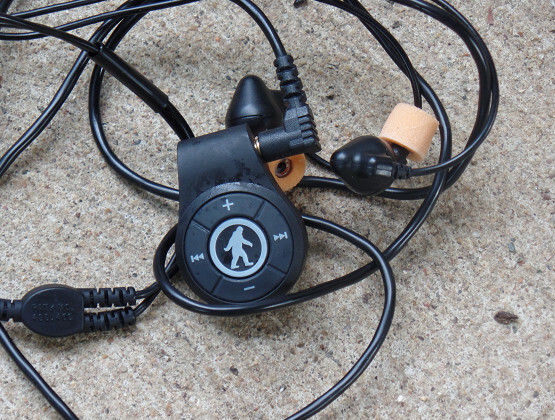 Any standard earbuds or headphones will work and its nice to have the option.